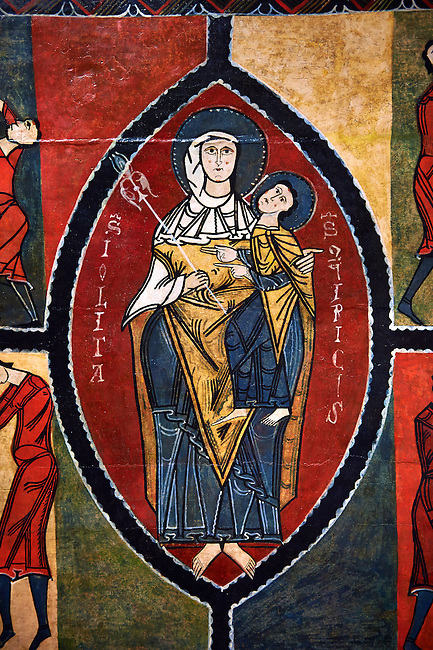 12th century Romanesque painted altar front from Saint Quirc de Durro, Val de Boi, Alta Ribagorca, Spain, showing The Madonna and Child. National Art Museum of Catalonia, Barcelona 1919-23. Ref: MNAC 15809.